As a conditional resident, you are free to travel abroad just like any other lawful permanent resident. But there are some things you should understand about travel after filing Form I-751 and before USCIS approves the petition. USCIS will mail you the I-797C, Notice of Action, after filing Form I-751. It’s a receipt letter that will also provide an extension (typically for one year) to your conditional residence. However, it may take USCIS several weeks to send the letter. Read about what happens after filing Form I-751. The documents described above provide proof of your permanent resident status, a key requirement for reentering the United States. But you should also understand that the “grounds of inadmissibility” apply, just as they do for any permanent resident seeking to enter the U.S. So do not leave the U.S. if you have outstanding issues (i.e. criminal offenses) that could make you inadmissible. In fact, many immigration attorneys recommend that conditional residents do not take lengthy trips outside the United States while Form I-751 is being adjudicated. If the I-751 petition is denied while you are abroad, you may not be able to reenter the U.S. and may be referred to an immigration judge for a removal hearing. If you plan to live abroad temporarily, consider obtaining a reentry permit. 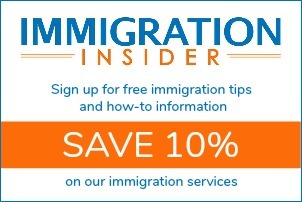 This will help you to avoid a determination by the U.S. Customs and Border Protection officer that you have abandoned your conditional residence.